The cloud is key to changing how educational institutions engage with their constituencies, partners, and employees in order to accomplish their objectives Windows cloud servers are designed to help schools and colleges take a key step toward greater agility, economics, and experiences both inside and outside the institution’s walls. 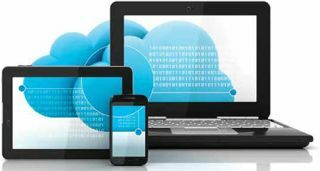 The cloud presents an opportunity to fundamentally change how schools approach and deploy technology. Windows virtual servers, specifically, enable educational institutions to drive maximum productivity regardless of location or device. And that leads to higher user adoption and improved productivity with lower training costs. The latest Windows cloud server offerings give schools access to the most up-to-date VPS and cloud server technologies without having to invest in new IT equipment and eliminating the time required for setting it up. Educational institutions can be up and running on a new server within minutes. It makes good sense to transition from on-premise computing solutions to Windows cloud hosting in order to save money on infrastructure and the accompanying man-hours needed to manage it. While there are benefits to building a private cloud, there are even greater benefits to using cloud service providers (CSPs) when transitioning an IT infrastructure to the public cloud. These service providers can provide skills and capabilities that complement internal IT. CSPs can be an invaluable resource in problem solving and delivering services tailored to each business customer, allowing for the maximum value to be derived from the move to Windows virtual server hosting. Known and documented costs—Using a CSP eliminates cost overruns that are inherent in building a private cloud. In a pay-as-you-go model, there are no up-front hardware costs and ongoing costs are documented in the contract. Speed—CSPs have the resources and intellectual property to complete the transition to the cloud faster, saving both time and money. Quality—Based on their broad experience with various types of customers and engagements, CSPs know the hardware issues, and have deep expertise. They also document the results in their service level agreements. IT staff remains focused on IT activities—While background effort is required to run the optimal version of Windows Server, IT has other daily tasks. Using a cloud service provider allows internal IT staff to keep their focus on their primary responsibilities rather than on building a private cloud. In addition to these key benefits that are focused on the nuts and bolts aspects of an educational organization, a quality CSP also delivers very real advantages for the IT group. The most significant advantage is the providers’ experience with new platforms. CSPs invest in training staff on the newest platforms, often prior to launch, which means stronger expertise sooner. As more schools and colleges transition their applications and processes to the cloud, they’re leveraging the flexibility, reliability, and efficiencies of Windows virtual server hosting.